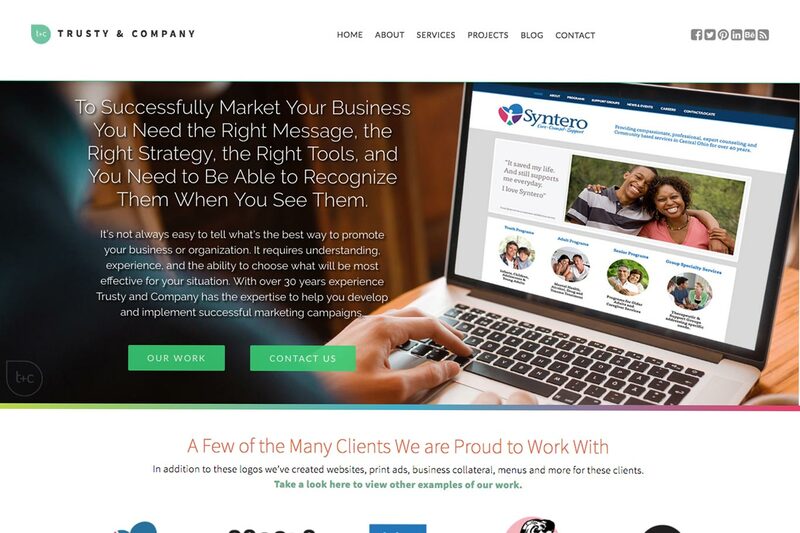 Share the post "Trusty & Company Launches New Website"
The Contact Us form is also a customized widget that we use on most client sites, too. And that robot…it does keep the spam away. We can create fields for whatever information you may need to capture, develop dropdown lists for departments and even direct each submission to the person in charge of that department. Interacting with your customers through contact forms, calendars, purchases and feedback is almost limitless with excellent design and development. During our discovery phase with clients we focus on understanding what actions they need their customers to take, what information they want to share and then discuss all the options available to them. Only then can we design a site that will help them send their message and drive results.